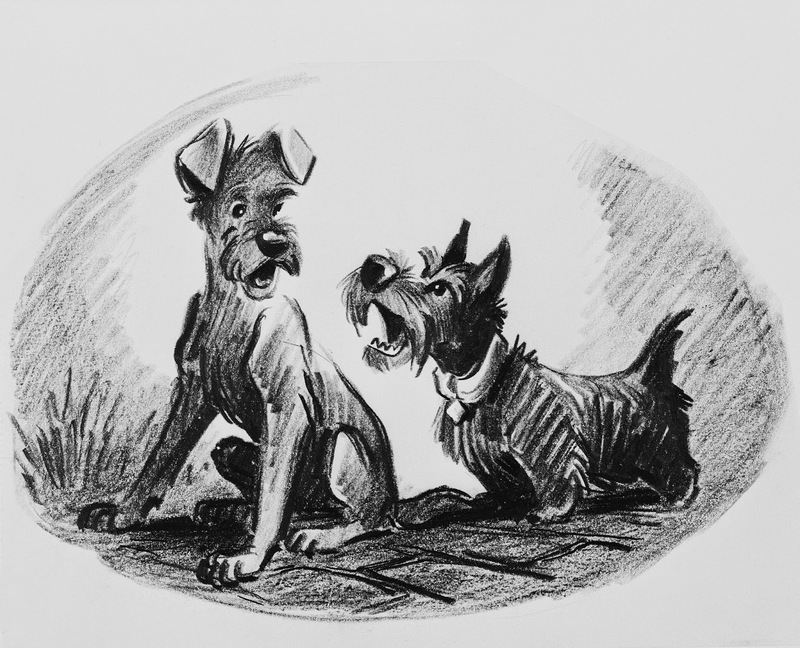 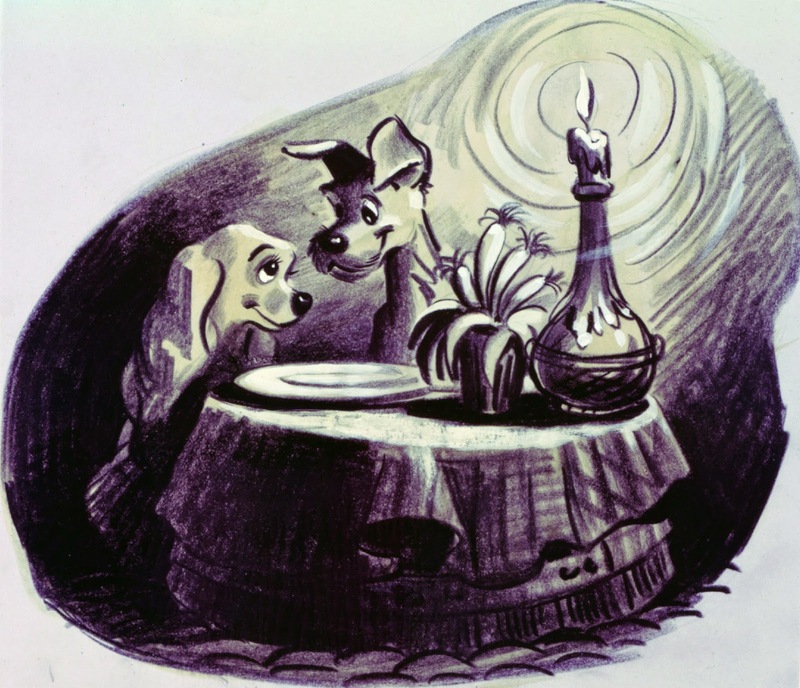 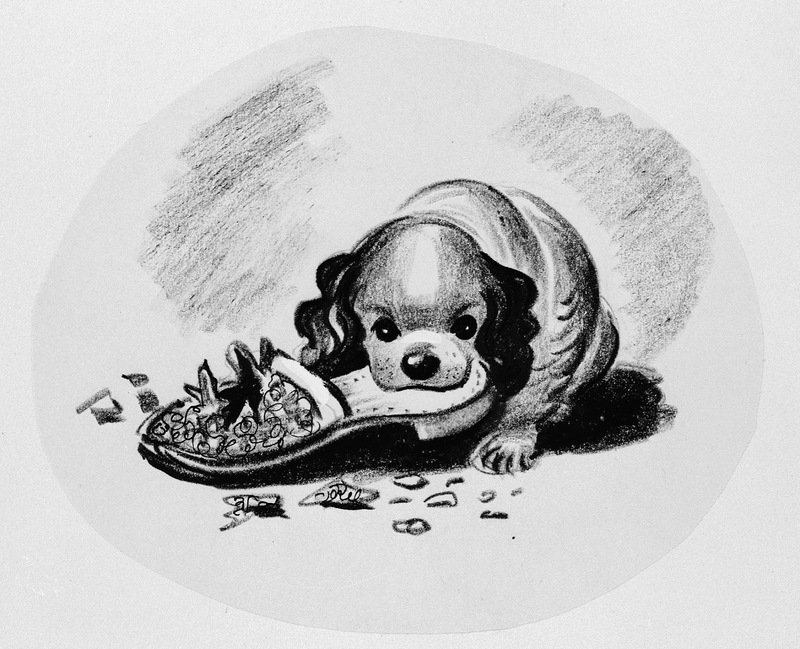 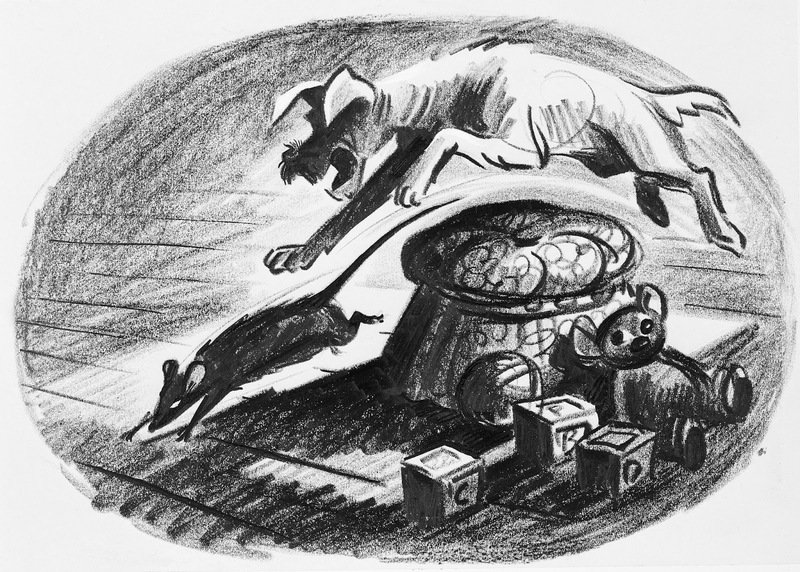 Here are more luscious drawings by story artist Joe Rinaldi for Lady & the Tramp. 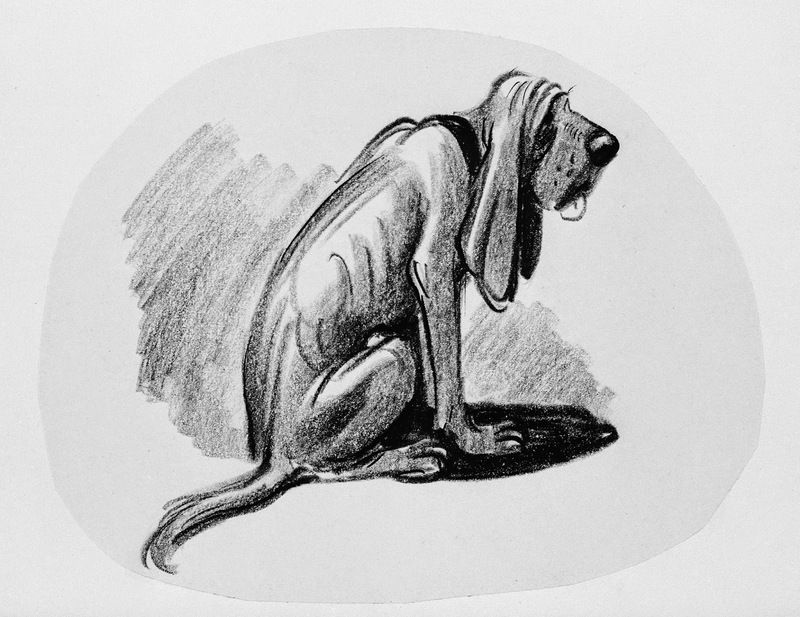 They are story sketches as well as publicity artwork. 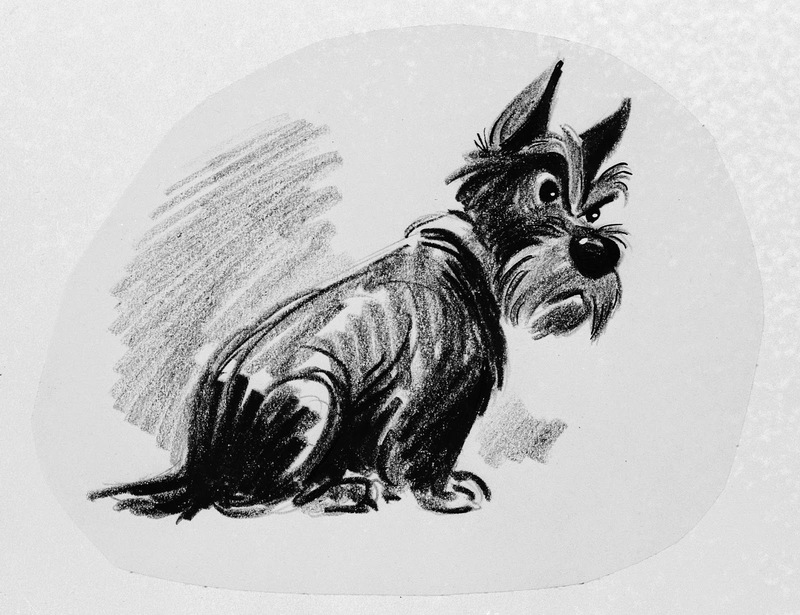 Full of charm and personality. 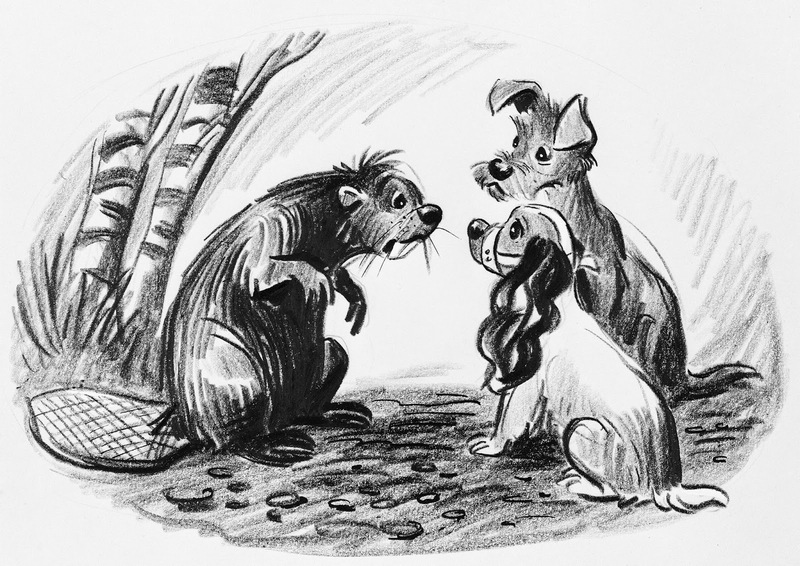 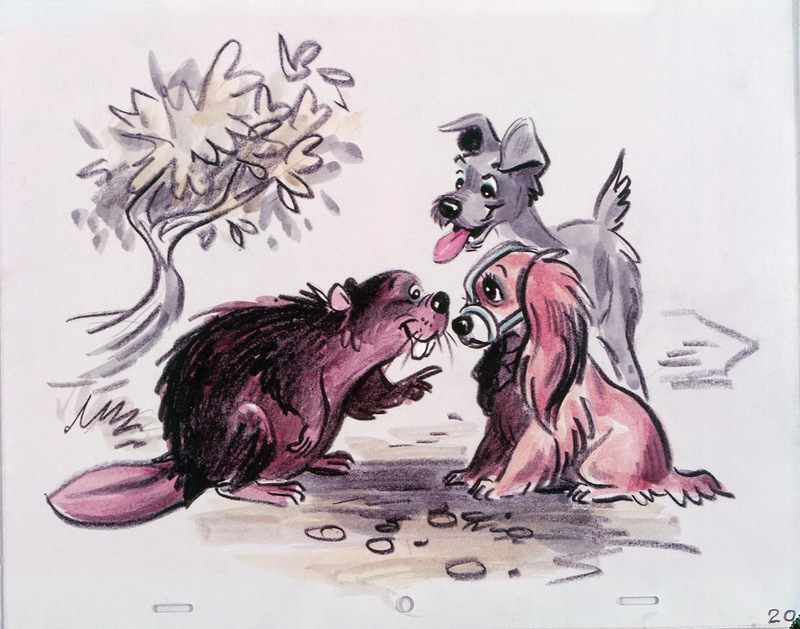 It’s interesting to compare Rinaldi’s early version of the encounter with the beaver (above) to the later re-drawn sketch, which shows the characters closer to their final appearance in the film. 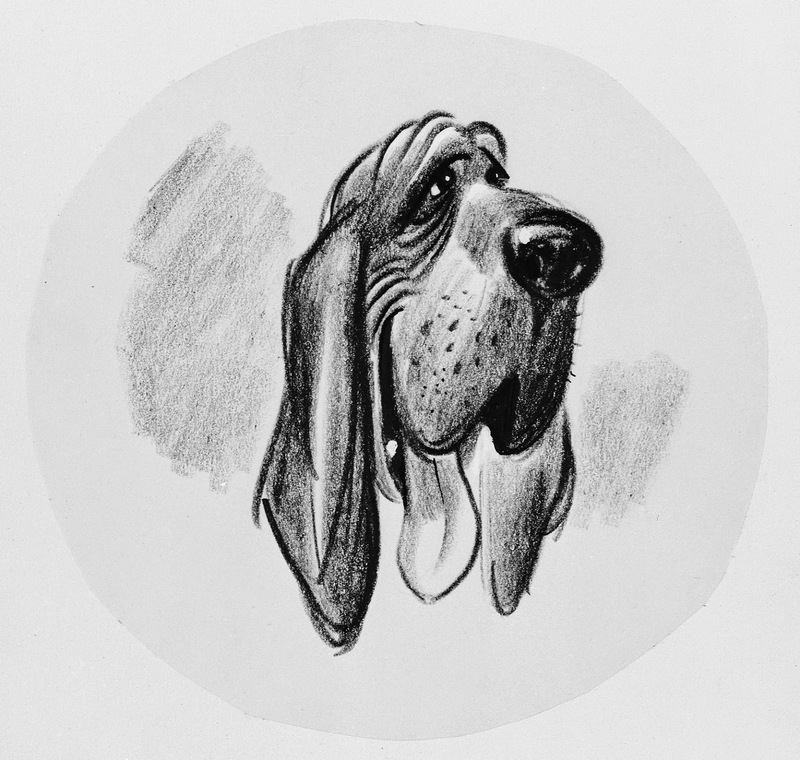 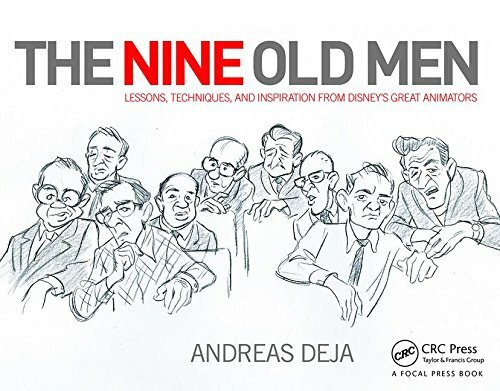 I am sometimes startled to realize just how many great artists worked in Disney’s story department. 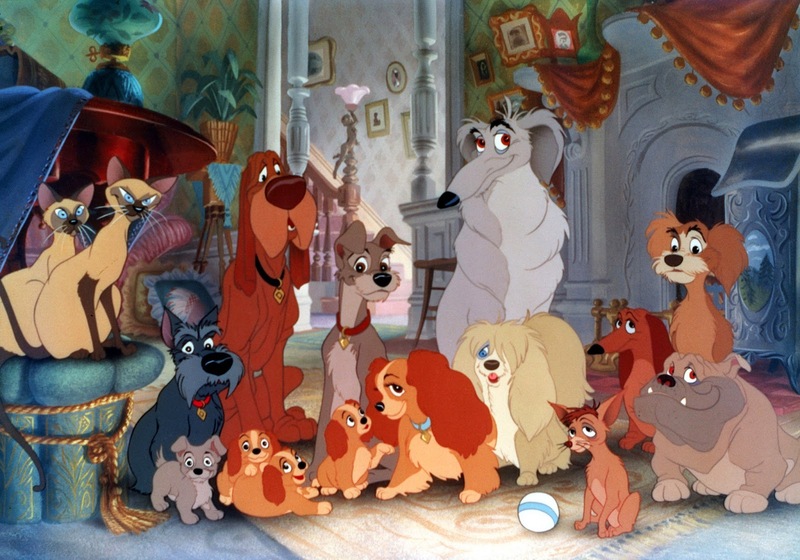 A publicity cel set up with the movie’s main characters.